This article covers the Legacy version of split testing using Sequences. We highly recommend that you use a Campaign to split test your emails. 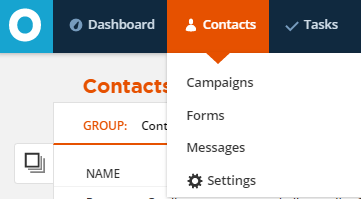 You can split test different versions of the emails you send to your contacts with ONTRAPORT. This means that you can schedule an email ahead of time and send out 1 - 4 different versions of that email to your contacts. 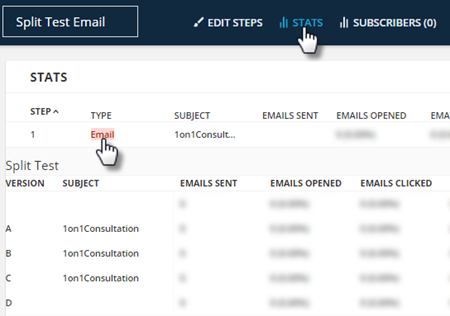 This in turn allows you to measure the performance of that email by viewing send, open, click, unsubscribe, and complaint rates that our tracking metrics provide for you. Legacy split-testing email is done via step and date sequences and require your contacts to be subscribed to these sequences either via a form, an import, a rule, or manually. We strongly recommend using the improved version of split testing found in ONTRAPORT Campaigns instead. Go to the Sequences collection. Make sure all your send from information is configured. Click on the Stats tab above the step editor. Click on the email step of the email you want to check your results for.